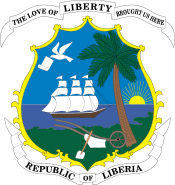 General elections were held in Liberia in 1907. In the presidential election Arthur Barclay of the True Whig Party was re-elected for a third term. It was the first time a President had been elected to a four-year term, as all had previously served for two years.